Whether you’re washing the car or refreshing the appearance of your home and surrounding landscape, the Generac 3100 PSI pressure washer with Electric Start boasts auto choke and electric start capabilities to simplify the starting process and promote smooth product operation. 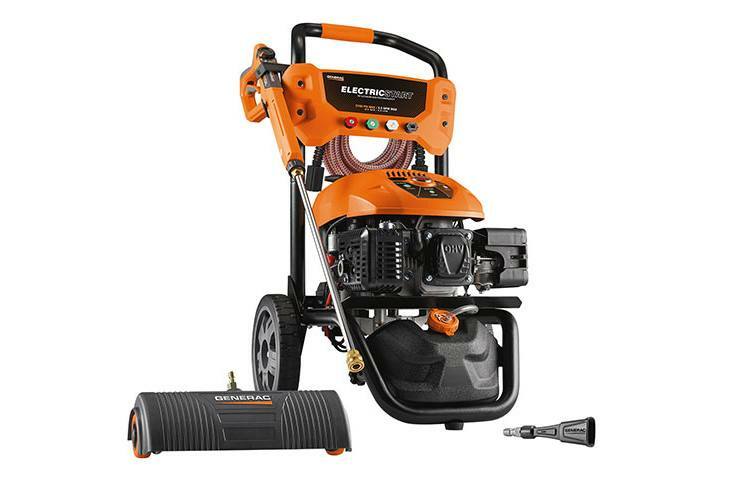 Equipped with a Lithium-ion battery that provides up to 50 starts, the 3100 PSI unit also features an easy-to-access detergent tank and Vertical Axial Cam pump with extended connections for trouble-free assembly and enhanced cleaning results. To apply the right amount of pressure for cleaning each unique surface, Generac’s PowerDial™ spray gun conveniently places the ability to switch between four application settings at your fingertips.